Our History: A little about us. January 2016 We are working on a brand new website, shopping cart and social media presence. We will have a blog, online shopping cart that is much easier to use, NEW PRODUCTS and best of all Coaching Classes and Exploration of Ireland and the Celtic Nations classes available. Join us for an exciting new year. January 2014 we are looking forward to a great year this year and really hope you will shop with us, read our newsletter and as always follow your Irish Bliss! June 2012 This has to have been our hardest year ever. My youngest son was very sick the last two years and well into 2011. I am writing this in June of 2012 because it has taken me this long to get a handle on things with him. Transition from our move from executive suites to no office or store front and just a small space to operate out of. The economy, my son’s medical issues and just life and past times catching up, we have certainly been on the bottom side of the world for the last couple of years. This January I decided to take a look at our business and our personal lives and we have decided as a business to make some major changes and as a family we have grown and made changes and the outlook is very positive in all regards. We lost a house we were living in due the owner not paying their mortgage on time and we are now in a great living space. My youngest son is doing much better, he is getting ready to start college this summer, he will finish high school as he goes. My middle son will graduate from the University of WA next year and gets married in Sept 2013. My eldest has taken the reigns of the warehouse and ordering and techy side full time. 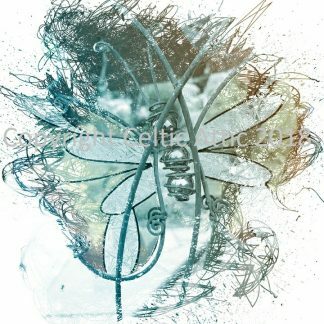 I am concentrating on streamlining our products, getting new artists on board and am writing a new book as well as launching a new product line of inspirational art pieces in Sept 2012. We have opened the Celtic Attic Foundation to help Women and others that have been the victims of any type of spousal abuse as our family suffered from this and has survived and become a stronger force in this world we have decided to reach out and help others. We are starting slowly with a few resources, then some self help booklets you can download for free, we will eventually have classes via email and hope to open people’s eyes to the fact that abuse comes in many forms, but all are damaging and you can survive. I am writing a book on the subject and hope to release it in mid 2013. Stay tuned for more adventures with the Celtic Attic LLC. May 2007 Another update from the Celtic Attic LLC. Thanks to everyone for your concern, compliments and assistance over this last year of transition. We finally have it mostly figured out. Life is wonderful and I encourage you all to stop for just a moment each day and give thanks for the blessings in your world. It is amazing to watch and learn. 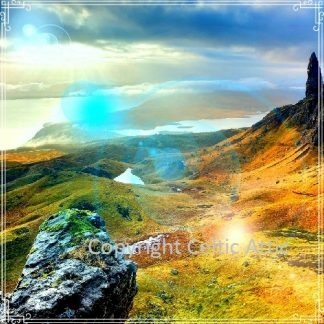 I am now writing a Celtic Article for a National Magazine – Mystic Pop. It comes out every other month. I have also released 3 poetry books, 1 very funky Celtic Cookbook and 2 children’s books. I am working an Internet Business book that will go to print in Sept 2008 (hopefully). More on this one later, but just wanted to let all my wonderful customers and friends know that life is truly grand. Drop me an eMail if you want to say hi or chit chat. Peace! 2005 We want to thank you each for your patronage over the last year. You have helped make Celtic Attic LLC twice as successful as last year! We have had a tremendous year and a Fantastic Holiday Season. Thank you to each and every one of you. May all your wishes come true this Holiday Season and for the New Year! With your help we were also able to donate quite a tidy sum to the Katrina Hurricane Victims, Homeless shelters, Food Co-ops, Local and National Charities, Military personnel serving in Iraq, Several Local Military families, 3 children chosen at random received everything on their Christmas Wish List and last but, not least 2 Celtic Attic shoppers received gift baskets for the Holiday Season. It feels good to be able to give back. Maybe you don’t have money to donate right now but you can donate clothes or if you have a car that isn’t running think about a car donation. Thanks again, you are all awesome and we send hugs and kisses for a Grand New Year! Just a quick note this lovely, rainy May day 2005 in WA… I am working on a couple of books that family, friends and many clients have been telling me for years I should write. The first to be released with be a Family Cookbook with our old recipes from both my Great-Grandma, Granny, Mum, and some Norwegian recipes from my dear Dad’s side. I have also found some old notes in the old family cookbook with a lot of Irish dishes that my Grandfather apparently loved. He didn’t know growing up he was of Irish descent, yet that is where his tastes always were. Irish Food and the song “Oh Danny Boy” are fond memories in my minds eye. The book should be released by July 1st and will be available for sale on the website and then on Amazon… The next book will be a Poetry anthology. I am working on a Genealogical Journey tale of finding my dad and a tribute to the women in my history. This book is due to be released sometime in Spring 2010. Have a wonderful Spring! 2004 – We are starting out the new year with a Winter Wonderland of White in NW Washington State. We had our first school Snow Day on Friday Jan. 7th… Kids loved it! I just wanted to say Thanks and Many Blessings for the New Year to all those that are regular Customers at the Celtic Attic and to all our New Friends. We had a tremendous year and grew by more than 30% this year. As always, we try to give back a few of the blessings we receive…We will continue to have our Free Giveaways each month and give donations to Charities that request our assistance. Our hearts and prayers go out to all the families of the recent Tsunami disaster. We hope that 2005 brings a brighter future with Peace and Love for all the planet. On a personal note – I am happy to say that my husband is cancer free and I am slowly recovering from the loss of both my mum and dad in 2003… Happy memories are replacing the sadness. For all of you out there that are adopted or your looking for a parent of sibling or other family member – DO NOT EVER GIVE UP! Ultimately the search is worth the time, trouble, money, pain and joy. Whatever the outcome of your search, you tried and that is in itself worth the search. 2003 – Just a quick note to wish everyone a most joyous and Happy Christmas! This has been such a wonderful year for the Celtic Attic and its staff. We have been blessed with a lot of business and truly wonderful customers. As most of you know my Mum passed on in January of this year. I am very sad to announce that my dear Dad just passed on December 3rd. Both will be missed terribly by us, but will remain in our hearts and minds forever. As we move into the year 2004 we hope to have some happy times on the home front! The most Heartfelt Irish Blessings to all who enter the Celtic Attic in 2004 and beyond! 2002 – Oh, the Joys of the Holiday Seasons. It is the beginning of November. We are working diligently to stock up for the Holiday rush of order… I think they have already begun – October was an exceptionally busy month for us! We are working on expanding our warehouse and offices…. So much work. We have added a lot of new product lines with a few more to come after the New Year! So stay tuned. As always, enjoy your shopping at the Celtic Attic! Well, NOW, July 2002 – Celtic Attic is finally settled in. We are out at the end of the world – 20 minutes to any road that is 20 minutes from the nearest town. We love it. It’s Green and Peaceful and Pristine! We built a Warehouse and Kristin did not hesitate to fill it up. Oh Yea, we SOLD the Computer and ISP business. So Now, the family is all pitching in on the business. We have relatives and friends that help out in the shipping department (Big building off the warehouse). We have Telecommuters that work from their own homes Prepping our orders and helping with filing and accounting functions and much more. We have been compared to Nordstrom’s on many occasions recently for our business philosophy on how we treat our Customers. Kristin, won’t sell something that she is not absolutely proud of. “I want happy customers, I want repeat customers, I want my customers to call me by my first name and have a Smile part their lips when they think of Celtic Attic and the Pride of the Celts & the Vikings! I love my heritage and I want to share it with all my visitors, whether they purchase something or not”. 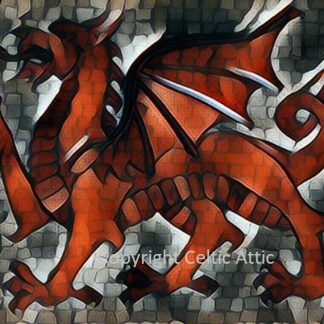 Celtic Attic has tons of pages of Tips N Hints and History on the Celts so those just interested in Information can feel right at home at the Celtic Attic. By the end of 2001, it was obvious to Kristin, her Family and most of her friends that Celtic Attic LLC was a hit. It was also obvious after a short family vacation to the Olympic Peninsula in Washington, that the family and business was destined to Move North! So the house in CA was put on the market, sold in 4 days and for the next month until close of Escrow the family finished remodeling on the house, packed their belonging in 4 haul, and drove North! They landed in Silverdale, WA (Kristin, Ex husband, 3 kids, Kristin’s Mom, 3 cats & 2 dogs), lived in a Hotel for a week. They found their new Homestead and a little land at the end of that week near the cities of Port Townsend and Quilcene, WA. So off they went and unpacked and got settled. Throughout most of 2001, sales were tremendous over the Web. The shop served as a Computer Repair Store in the back and the Celtic Shop up front. In Mid 2002, The shop closed it’s doors because it was very obvious that the Website and the Festivals were the wave of the future for the Celtic Attic LLC. 2000 –So, In July of 2000, shortly after that FIRST SALE, Kristin went out on the web and contacted family in Norway, Ireland and Scotland and made a conscious effort to get Unique and Beautiful Jewellery, Artwork, Crafts and much more to add to the website. Well, she went completely overboard and by the end of December 2000, we had over 600 products on the website. We had a Small Shop in Port Hueneme, CA and were selling at Celtic Festivals, Irish Festivals and Highland Game.